(CNS): A crown witness in the case against Chad Anglin for the murder of Fredrick Bise in February 2008 told the court Monday that he had admitted being involved in the killing to her just a few months after the murder. The woman, who was just 15 years old at the time, had run away from home and spent around four days with Anglin after he had picked her up to take her to what she thought was a party. During the time she stayed with Anglin (left) word got to him that the police were looking for her in the district, passing out her photograph. Anglin had warned the teen runaway that if she told the police she had been with him, he would “burn her up in a car just as he had done to the gay guy”. The teenager revealed the confession made by Anglin to police officers in April 2008 after she had slipped away from Anglin and stayed the night on a beach and then gone to a house in West Bay for help. The police and her family had been called and the teen runaway gave a statement to the police about where she had been and what had happened to her since she had left her own home four days before. Speaking in the court Monday, she said that at the time Anglin had told her not to “call his name” to the police if they came looking for her because if she did he would “burn her up like the gay guy”. She said Anglin had told her that he and another friend were involved in the killing and then they had put him in a car and set in alight. He told the teenager that he was a suspect in the case and the police had arrested him. She said she didn’t know anything about the murder at the time but she had been very scared when Anglin had threatened her and believed he would kill her. She said that as he told her about being involved in the killing he was bragging and laughing. 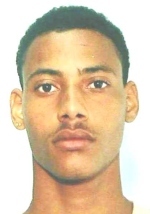 Chad Anglin (30) from West Bay is accused of murdering Fredrick Bise, a Swiss banker whose body was found in the back of his own burned out SUV in front of the house where he was living in West Bay in February 2008, in a joint enterprise with another man, who will be tried later this year. Anglin was seen leaving Kelly’s bar with Bise in the Swiss national’s car in the early morning hours before his body was found. The crown also says DNA oncigarette butts found at various locations outside Bise’s home and by the SUV place him at the scene of the killing. The case, which is being heard by a jury and presided over by Grand Court Judge Justice Alex Henderson, continues Tuesday in Court Two. 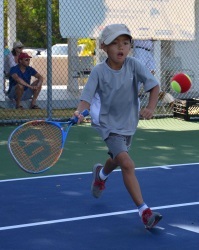 (TFCI): Last Saturday saw the first Tennis Federation of the Cayman Islands “8 & Under Fun Event” held at the Paul Howard Community Courts in West Bay. Eleven children attended the event, sponsored by PwC, with parents watching the games played on the four mini-tennis courts. 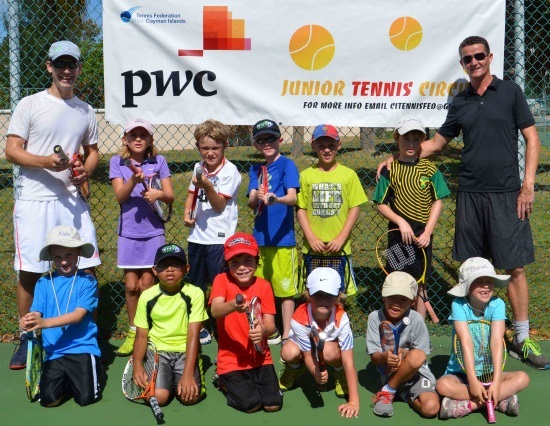 Coach Noel Watkins of the Cayman Islands Tennis Academy and the Tennis Federation of the Cayman Islands' Dan Altneu officiated the matches, and the kids thoroughly enjoyed the event. Snacks and drinks were donated by Fosters Food Fair. The next event will be a 10 & Under event which will be held in late June. Anyone wishing to join the fun should contact the TFCI at tennisfederationcayman@gmail.com to be added to their newsletter. (CNS): The Water Authority says there is a broken water main on Elgin Avenue in George Town near the intersection of Goring Avenue and service to Customers on Goring Avenue to the GT Police Station has been interrupted. The WA operations crew is diligently working to identify the exact location of the leak and as soon as the leak is identified and damage assessed, repairs will begin, the authority says. Drivers are asked to take note of this emergency and avoid the area where possible. If the area cannot be avoided, the WA warns that traffic has been reduced to one lane on Elgin Ave and motorist are asked to proceed with caution and obey all road signs. The Water Authority apologizes for any inconvenience caused. (CNS): Dog owners whose dog was removed from them after it had attacked another pet on a neighbouring property will not be prosecuted and a local activists thinks it's down to a bias against her. 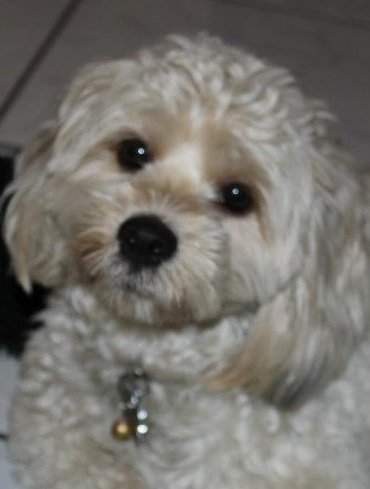 Following several attacks on Sandra Catron and her Shih-Poo , Coco, by a neighbouring vicious dog she has now learned that the authorities will not be prosecuting the owners, despite what she says is a plethora of evidence. While other dangerous dog case are going through the courts after isolated incidents, Catron believes her neighbours are getting away with it because she is the complainant. Catron, who has a law degree but who is not a qualified lawyer, has taken on the power of the state in numerous criminal and civil actions and has so far come out on top every time. She now believes that she is the subject of persecution by the authorities, who are bringing unfounded criminal allegations against her and refusing to act on what she says are genuine complaints. “I feel that because I have successfully challenged the authorities on so many occasions I have become a target for continual charges being laid against me by them and any complaints that I make are not taken seriously. In this case there is no logical explanation for the DPP (director of public prosecutions) to decide not to prosecute this case,” she told CNS, after she was informed by the police that the file had come back from the public prosecutor’s office saying there would be no prosecution. “I have a plethora of emails, independent eyewitnesses, two incidents caught on CCTV footage, and DoA (Department of Agriculture) staff finding the dog off the leash over the past two years and nothing has been done. All of this was supplied to the police. There was another neighbour, who although not filing a formal complaint, also had the same dog enter her home and attempt to attack her small Pomeranian. The RCIPS, and by extension the DPP’s office, would have been aware of all of this,” she added. Catron said that the dangerous dog was still at the nearby property, it would lie in wait for her and her pet and then ambush them, with, she is convinced, the intention to kill Coco. “I am aware of at least three other cases in court where there is nowhere near the level of evidence or incidents and yet those persons have been charged with permitting a ferocious dog to be at large. What other conclusion could I possibly draw than the DPP has sought to not take this matter to court simply because I am the victim here?”Catron asked rhetorically. She said that, as a result of the constant arbitrary decisions by the Office of the DPP, not just in her case but in many others, it was time for government to look at some form of independent oversight to examine how its decisions are made and if they meet the criteria for natural justice. “I will continue to fight for some minimal professional standards to be used by the RCIPS and the DPP. If this means continuing to bring their decisions before the courts for judicial review, then so be it,” said Catron, who has already done that and won. The dog in this case was removed but Catron is concerned that the DPP’s decision will see the animal returned. However, an email from the chief inspector at Bodden Town police station said he was not allowing the dog's return, emphasizing the police position that they agreed the dog was dangerous. Nevertheless, he said the prosecutor’s office had ruled against prosecution. “Despite the DPP's ruling, I am still of the opinion that the dog is a menace to you. However, I have no influence on the DPP's decision,” the senior officer told Catron as he warned her against taking matters into her own hands. “If at any time that you see the menace dog return back at the premises, please call us immediately,” he told her. Catron is pressing ahead with a civil case against the owners to recoup vet’s expenses from the attacks on her pet, as well as damage to the property around the area as the dog had torn up fences to get out. (CNS): Three Jamaican nationals and one Caymanian intercepted in Cayman Brac last September with some 170lb of ganja have been handed various jail terms that add up to more than ten years in jail for the traffickers. Three Jamaican nationals were paid by the dealers to bring the drugs here and as a result Derrick Anthony Adlam was sentenced to 45 Months, Noel Alexander Samuels 24 Months and Clenval George Grant 18 Months, while the local man who met the traffickers on the Brac, Jason Phelon McCoy was given 30 months by a local magistrate after the men pleaded guilty to importation. A fifth man, described as the mastermind, Andres Anderson has pleaded not guilty and is expected to be tried in November. The men were arrested after immigration and police officers received a tip off which led them to the beach at the Divi Tiara where they saw McCoy’s boat heading out into the channel and meeting another vessel and saw goods passed across. When McCoy’s vessel returned to shore he and another were seen by officials headed to McCoy’s truck with big sacks. An officer called out to the men who then dropped the drugs, two more sacks were found and the men arrested. Meanwhile, police on a marine vessel intercepted the canoe about a mile from the shore. (CNS): The Cayman Islands authorities are locking up a disproportionate amount of its citizens, according to the latest world rankings reflecting the proportion of prison inmates in 222 countries. 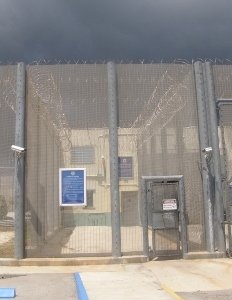 Cayman has a prison population in excess of 180 inmates, most of whom are either serving or on remand at HMP Northward, which is bursting at the seams, making the country one of the top incarcerators in the world. The islands rank at number 27, with the equivalent per capita rate of 330 per 100,000 in the international league tables, compared to Jamaica which sits at 97, and England and Wales at 99. In the Caribbean region, which has a significant number of states on the list, Cayman is ranked sixth overall from 23 countries. There are 16 Caribbean countries in the top 25 of the list, which was drawn up by the International Centre for Prison Studies. The rankings are topped by the US and the Seychelles, which both have a shocking per capita prison population rate of more than 700 out of 100,000 people. Largely as a result of the war on drugs, which also accounts for the high number of prisoners in Caribbean jails, the figures come at a time when research reveals that locking more people up has very little impact on crime rates. The US penal population of 2.2 million adults is the largest in the world and is around 25% of the entire world population of prisoners, while the country accounts for only 5% of the global population. The US rate of incarceration, with nearly 1 of every 100 adults in prison or jail, is 5 to 10 times higher than rates in Western Europe and other democracies. Based on the results of its study, the NRC calls the US incarceration rates "historically unprecedented and internationally unique". More than half of the US prison population is black or Hispanic and come from "the most disadvantaged segments of the population". They are mainly men under age 40 who are poorly educated and often have drug and alcohol addiction or other medical issues. A black man under the age of 35 who did not graduate from high school has a greater chance ofbeing in prison than in the workforce. “The meaning and consequences of this new reality cannot be separated from issues of social inequality and the quality of citizenship of the nation's racial and ethnic minorities,” authors of the the report stated. The report finds that the crime rates have fluctuated over the past 40 years, and while they have declined overall, there is little correlation to the rise in sentencing rates. "The tremendous increase in incarceration in the US does not reflect the fact that the country has become substantially more criminal or violent over this time," the writers point out. "The true explanation has more to do with politics and policy." The war on drugs, mandatory minimum sentences and politicians promising to "get tough" on crime – these are the driving forces behind the incarceration numbers," the report asserts. Although the arrest-to-crime ratio has remained largely the same over the past four decades, it has become much more likely that those arrested wind up in prison. (CNS): The former premier of the Turks and Caicos Islands, Michael Misick, has been speaking out about his legal troubles and accused the British of seeking a conviction against him at all costs for political reasons. Speaking to the local television news network SunTV, he said that he had fled to Brazil to seek political asylum because he believed the UK investigators were more interested in political persecution against him than in any genuine investigation. He accused them of going to great lengths, changing the laws to make their chances of getting convictions greater. He also accused the UK’s interim government of putting the islands' economy in a worse situation than when he left office, wiping out gains that he claimed had been made. He expressed his concerns about how many British people were in places of high office and had also taken over the local businesses, pushing local people out of the commercial environment. He said there had been a systematic destruction of the local middle class by the UK. Misick is facing a number of corruption charges relating to a massive and costly investigation that has been undertaken by the UK after the elected local government was suspended and British rule re-imposed in the territory. An enquiry uncovered what it said was systemic and serious corruption throughout the public and private sectors.